"Friendly & Experienced Mobile DJ And Disco "
East Anglian Discos serves Norfolk, Suffolk, Cambs, Herts, Essex and Kent. I have over 20 years of experience and I will go out of my way to ensure that you and your guests have a party to remember. Our motto is that I will go that extra mile. I am familiar with most of the top hotels and other venues in your area. I am also proud to have worked closely with a number of charities. Unlike most discos, we have a transparent pricing policy charging a flat fee for your function. I do not charge any extra if you require additional lighting, the use of a bubble/fog machine or microphones. I also provide uplighting at no extra charge. With over 20 years of experience I have an extensive music library which caters for all age groups which ranges from the 1920's to date. I will always discuss with you your musical preferences and welcome your playlists and requests. I use professional equipment such as Denon and RCF. This means that I am able to play for 2 to 500 people, whilst my lighting is fully adapted and controllable to suit you. I offer flexible lighting which includes the option of traditional lighting, laser lighting and uplighters. Back-up equipment is taken to every function. Required by many venues, East Anglian Discos has a current PLI policy with Mobile DJ Network in the amount of £10 million. Also required by many venues, East Anglian Discos has supplied satisfactory evidence of holding current PAT inspections of their equipment dated within the last 12 months. A Method Statement outlining East Anglian Discos&apos; Health & Safety procedure for setting up disco equipment has been provided. 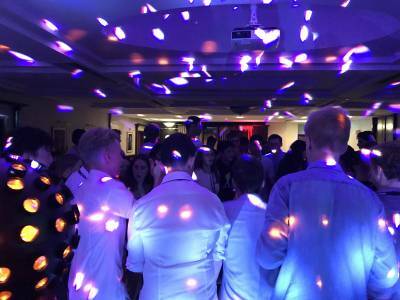 East Anglian Discos has provided Risk Assessments undertaken at events sourced via needadisco.com, indicating that they can undertake these competently. Why do people choose to book East Anglian Discos? Sensible price. Complete package agreed. Professional and likeable manner. he rang and was happy to do my playlist, to travel along way just to make me happy plus he gave me a great quote(price wise)he was cheerful and easy to talk to. "Robin is extremely courteous, knowledgeable & approachable. We were really pleased with how he took care of the music and interacted well with us all. We will definitely use his disco again. " "A fantastic party, and an absolute pleasure to be there. Looking forward to the next party in 2018?" "Excellent customer services, excellent value for money, he was bang on time, he called me a week or 2 earlier than the event to make sure everything was still going ahead. He was polite, and it was lovely his daughter was able to come and experience a day event. Very more than welcome. He managed the volume perfectly, so we were not drowned out from the beginning, and although we had 2 hours of dancing at the end you could still talk without missing the conversation. I have his number and will definitely use him again. Many thanks"
"Lovely family party. Lots of dancing and it was fantastic to be a part of their special day." "Thanks for helping to make our wedding a fantastic, fun and memorable day! We will definitely recommend you Robin. " "Great people and a fantastic evening. Excellent choice of music by the couple. " "Robin was brilliant from start to finsh - highly recommended." East Anglian Discos also offers a range of additional party services not directly linked to musical entertainment. 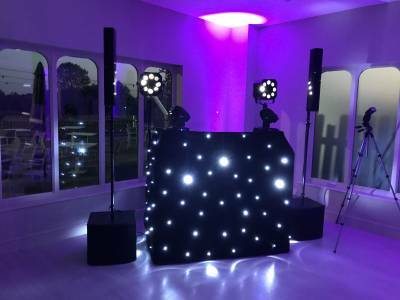 Get FREE no-obligation disco quotes from East Anglian Discos and other DJs covering your venue. Take 2 minutes to fill in some basic details and we'll do the rest! 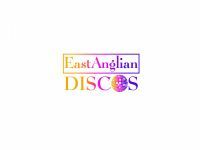 If you are contacting East Anglian Discos about an event, it's always a good idea to include the DATE, LOCATION, EVENT TYPE, AGE GROUP and TIMINGS to speed things up!